There were 762 press releases posted in the last 24 hours and 153,555 in the last 365 days. 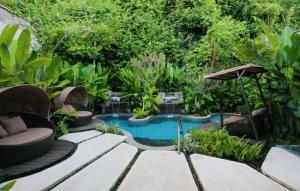 DENPASAR, BALI, INDONESIA, April 2, 2019 /EINPresswire.com/ -- An iconic design feature at The Ritz-Carlton, Bali, the Hydro Vital Pool is surrounded by lush foliage and takes its name from the Greek word for water and the Latin word for life to provide a unique and indulgent water healing experience. Pool Sessions are now available at 30 Minutes for IDR 288,000++, 60 Minutes for IDR 388,000++ and 90 Minutes for IDR 488,000++. “The benefits of hydrotherapy and its soothing effect on the mind and body have long been known and we are delighted to offer our guests this highly enjoyable and therapeutic form of water healing at the award-winning Ritz-Carlton Bali Spa”, says General Manager, Karim Tayach. 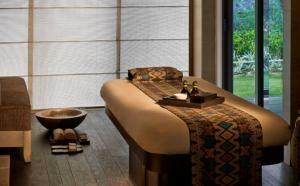 The Ritz-Carlton, Bali Spa provides a blissful sanctuary for guests at one of the best hotels in Bali. Inspired by the transformative powers of the Indian Ocean, water has a key role to play both in deluxe spa rituals and exclusive spa ingredients that utilize the ocean’s bounty, such as pearls and seaweed. 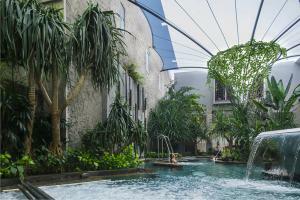 Nestled into lush tropical surrounds deep within the spa complex, the Hydro-Vital Pool provides a unique and deeply restorative form of hydrotherapy with a range of jets and water features that massage the entire body. Benefits include improving blood circulation, stimulating the lymphatic system and flushing toxins. Gently heated, the pool has five different zones each targeting a different area of the body, starting with the Serenity Zone which features an air bubble bench to relax and stimulate the muscles in preparation for the circuit. The Reflex Zone has powerful air jets from below, aimed at energizing the feet, the vertical massage jets of the Rejuvenation Zone alleviate muscle tension, while the De-stress Zone waterfall shower focuses intense pressure on the upper back and shoulders. The aptly named Relaxation Zone completes the circuit with an underwater massage lounger that soothes and calms the whole body. A Hydro Vital Pool session can be enjoyed before or after a signature massage or spa ritual, or experienced as a rejuvenating therapy on its own. Guests can complete the hydro circuit by themselves, or let a therapist guide them – should they have more specific health concerns. Fun Aqua Yoga classes are also offered in the Hydro Vital Pool on Wednesday afternoons, allowing participants to enjoy the benefits of gentle stretching free from the pull of gravity. Hydro Vital Pool prices include access to a Wet Lounge (his and hers), fitted with whirlpool, cold plunge pool, sauna and steam room. 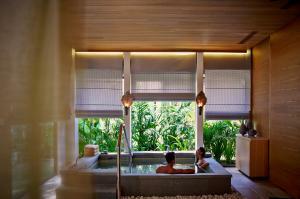 Those looking for a purely relaxing aquatic experience can enjoy a second pool within The Ritz-Carlton, Spa Bali. Fringed in tropical greenery, the Balinese Bathing Pool has been created as a tranquil oasis, a place to sooth the senses and float away all your cares. For more information and to reserve your treatment on the Hydro Vital Pool and other services at The Ritz-Carlton, Bali Spa, please contact rc.dpssw.spa@ritzcarlton.com or +(62)361 849 8988.